Following discussion between the city’s Finance and Personnel committees, Wauseon City Council on Monday approved a pay scale increase for city employees and gave fire department personnel a one-time increase. The resolutions, which were waived for three readings and passed on emergency, are meant to keep city positions competitive with those of other municipalities. 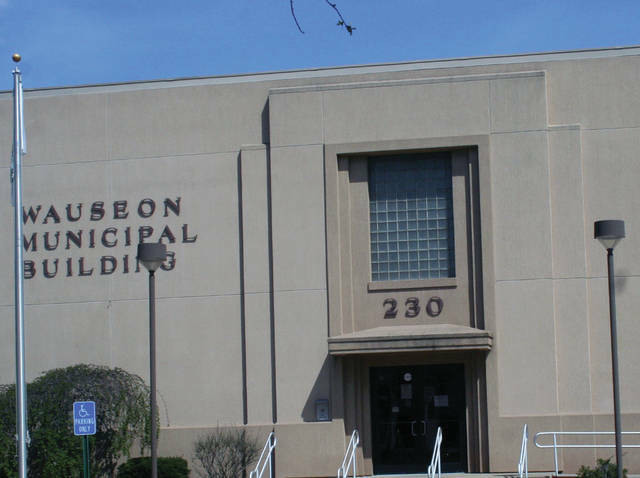 The pay scale for all categories of Wauseon city employees will increase by 11 percent. All fire department employees will receive a one-time six percent increase. Both issues had been tabled from Council’s Jan. 21 meeting, and were removed from the table before voting took place. The increases were calculated by reviewing income tax revenues and employee pay ranges from various cities provided in documents supplied by Clemans Nelson and Associates, a management consulting firm in Dublin, Ohio. Projected 2019 income tax revenues for comparable cities were also reviewed. Councilor Shane Chamberlin said Tuesday the issues were approved “to keep the city at a competitive level.” At the joint meeting between the Finance and Personnel committees held Jan. 24, Chamberlin said he favors increases but expressed doubt that Wauseon could afford an 11 percent adjustment to city pay scales. He noted that the cities surveyed in the Clemans Nelson report have higher income tax revenues. Mayor Kathy Huner said at the meeting that income tax revenues were not the only factor sought in finding comparable cities to review. She also listed population and type of workforce. When asked by Law Director Tom McWatters III what he based his support of the increases on, if not the survey, Chamberlin said the credibility of Wauseon’s administration. Fire Chief Rick Sluder, who attended the meeting, said the six percent increase for fire personnel will be funded through Fulton County’s EMS levy and through an average of $55,000 collected annually for emergency transport runs. • First Assistant Fire Chief Phil Kessler reported the department responded to approximately 60 incidents during the frigid cold experienced last week. Calls included EMS runs, assisting the public, and frozen or cracked pipes in several businesses that resulted in water in the buildings. Kessler said the department also assisted the Village of Delta with two structure fires during the height of the cold weather. “The guys did really well. They should be applauded for (braving) the adverse conditions,” he said. Huner thanked the fire station for providing food and hot drinks to police and Public Works personnel on the job during the extreme weather. • Police Chief Keith Torbet thanked Council for accepting a federal Justice Assistance Grant totaling $17,033.30 to upgrade the department’s computers. He also mentioned C1 and D6 category liquor permit applications filed for the new Stop and Go store at 1200 N. Shoop Ave., formerly a Valero gas station. There were no objections. • Public Service Director Dennis Richardson said the city had two water line breaks during last week’s extremely cold weather. He said water mains are susceptible to breaking both when the ground freezes and when it thaws. Richardson also reported that Noah Granger of Antwerp, Ohio, has accepted a position as operator trainee at the city water treatment plant. • Finance Director Jamie Giguere said city income tax revenue was down about 14 percent in January as compared to the same time last year. Council members approved the second reading of a resolution authorizing the mayor to enter into agreement with Clinton Township for zoning compliance and code enforcement services. In new business, a motion was approved to permit $6,093.45 in upgrades to electrical wiring for the speed slide at the city pool. Richardson told Council the architect informed him larger pumps are necessary because the slide’s motor must be upgraded to 15 horsepower, rather than the current 10 horsepower. The cost is provided through the city’s Park and Recreation Special Revenue Fund. The council also approved $4,949.32 for a retr0-unit upgrade kit for a fire department gear dryer.